« What’s My Next Move? A couple of months ago, I had the opportunity to speak in front of new audience. “…does knowing more about stats help you in everyday life? I hadn’t pondered much, how the worldview that I’ve gained through this work has heightened my satisfaction with life, and how the analysis tools I apply to an enterprise are used when shopping, having a conversation, or planning a date night. Having thought about it, here are three ideas from stats that have given me “>” enjoyment in life: (Support, Extreme, Traverse). I don’t have data to support that. What an incredibly freeing statement! Starting in undergrad, I started to feel mounting pressure to take a side on everything. Coming from a stats standpoint, if I’ve not gathered any data, I don’t have any basis to take a strong stand on something. I don’t want to whack people pool noodles of opinion. I can sit back when questions come like, “Don’t you think it’s awful when…” or “Can you believe they made such a terrible choice?” Consider something like parenting methods, where someone can feel very strongly about precisely nuanced points. I can sidestep an argument because of lack of data and adopt a gracious view. When planning something I immediately think of the worst case and the best case. Since I spend my days working to predict, I appreciate how hard an accurate prediction can be to produce. This results in my life of trying to predict less and prepare more. Rather than wondering “when will the car breakdown?” I know a car breakdown will happen, and set the funds aside for the worst case and drop it from my mind. There are jokes about statisticians thinking in averages; drowning in a river that is “on average” 2 ft. deep. In life a good statistician thinks in distributions for the full spectrum of potential events, and can approach the unknown with humility. More and more predictive modeling analysis has becoming integrated with all other disciplines. Statistical Learning emerges as a common vocabulary for medicine, business, writing, agriculture, sociology, and economics to discuss results. Since I enjoy learning, statistics has given me a side door to dive into other disciplines and understand what’s being studied. This opens many conversation for me where I can related to more people because their work in one spot high fives mine. How does the special knowledge from your job help you enjoy everyday life? Are you more satisfied with your life because of the abilities you have because of your work? Mulling this question uncovered a lot of gratitude I have towards my vocation. Increasing the amount of gratitude multiplied my general satisfaction with life. I hope you’ll take the time to ponder this too from the perspective of high school student trying to pick a vocation. The Amazon links used in this post are affiliate links. If you click through the Amazon links and buy the book, it does NOT cost you anything extra but Amazon does send me a tiny % as a thank you. If you found this helpful, and do decide to get the book, please purchase it through one of the links here. Congrats on your opportunity to speak to a group of high schoolers! What great questions they had! 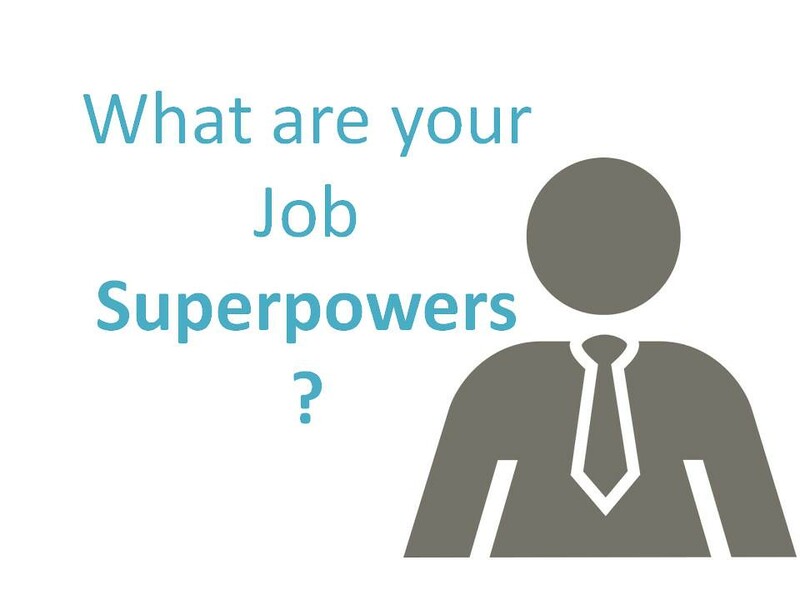 Thanks for the blog and sharing the effects of your job superpowers on your life. Thanks Rene! It was a fun and challenging opportunity. Do you feel like your work has allowed you to enjoy life in a special way?